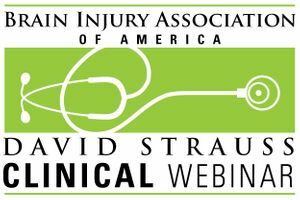 A David Strauss Memorial Clinical Lecture live webinar featuring Christine Nelson, MBA, M.Ed., MOT, CBIS, CDRS, and Paige Salinas, LCSW, CBIS. Airs live at 3 p.m. ET May 2, 2019. Registration closes at 11:59 p.m. ET April 30, 2019. Registration closes at 11:59 p.m. ET April 30, 2019. Christine Nelson and Paige Salinas will address intimacy and sexuality issues encountered by residents in supported living environments.